Finding the right climbing destination is like solving a puzzle. Many pieces have to come together like friends, rock quality, temperature, area and challenging climbs. A friend from Brazil, Felipe Camargo showed me a guidebook from Serra do Cipo, Brazil, in 2015. Kilian and I were immediately very excited to explore this country. But in June 2015 I tore my pulley and therefore I was forced to rest. 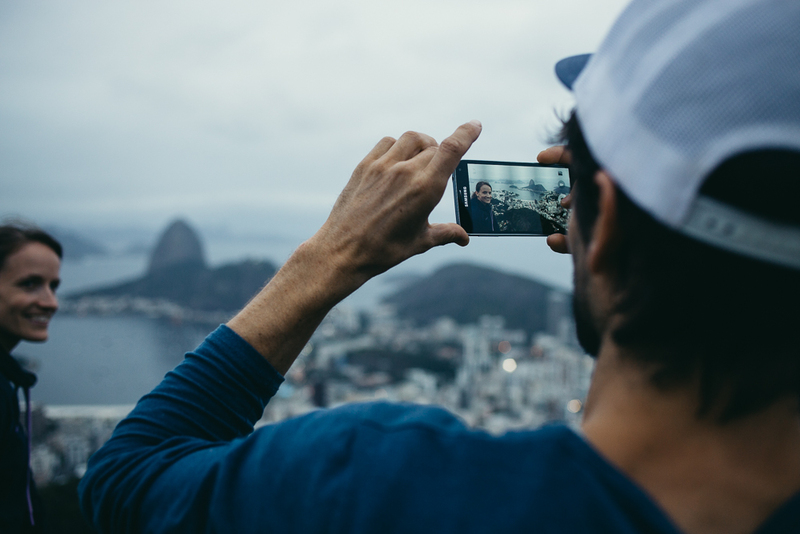 This year a Brazilian road trip seemed like the perfect choice. Brazil’s most iconic route is Wolfgang Güllich’s “Southern Comfort”, which is situated in Rio de Janeiro. Wolfgang climbed it back in 1987, 1 year before I was born. I had seen other routes from Wolfgang, like “Punks in the Gym” in Australia or “Action Directe” in Germany, and I knew that he had an eye for beautiful lines. Additionally, the route is short, crimpy and powerful, so I thought it might fit my climbing style. Kilian and I drove to the beach called “Praia Vermelha”, parked the car and hiked along the seashore to the cliff. Despite the high temperature and the humidity, I was very excited to see the route. When we arrived at the rock we saw that the bolts were extremely rusty… We did not want to risk getting injured so we fixed a toprope and tried the moves. The route climbed really well. Basically, it is a layback all the way until the edge, where it gets more vertical and fairly easy. The first couple of moves were very demanding, followed by some slightly easier moves. The starting section has been added recently due to erosion. The crux was in 4 meters height: a far cross-over move to a bad crimp. I worked all the moves and was quiet confident that I might actually be able to climb it. But not on these bolts…. We talked to our host and local climber, Thiago, and he said that rebolting is an option, but that the climbers of Rio would like to do it on their own. We had planned to visit other climbing destinations anyway and decided to head West to the bouldering mecca, Ubatuba. At the end of our road trip we stayed in Serra do Cipo and talked about the issue of the rusty bolts of “Southern Comfort” with well-known Brazilian climber Marcelo Dias Vianna Braga and he was immediately on a mission. He called his friends in Rio and organised a rebolting of the route. When we came back to Rio “Southern Comfort” had been rebolted. 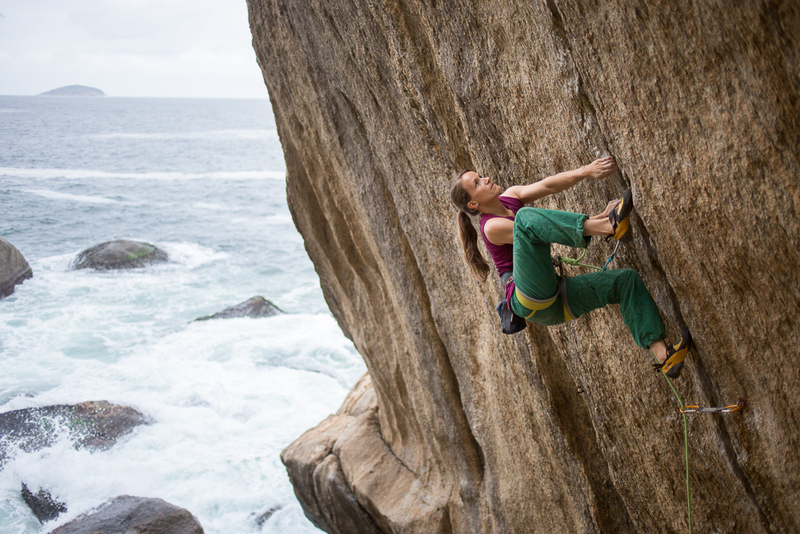 Climbing this route was my last piece of the puzzle, which made the trip to Brazil an unforgettable experience.